Why unique_ptr finally works good? How to use arrays with unique_ptr? Why create shared_ptr with make_shared? How to use arrays with shared_ptr? How to pass smart pointers to functions? How to cast smart pointers? While learning how to use new C++ standard I came across several issues with smart pointers. In general, you can mess a lot less using those helper objects and thus you should use them in your code instead of raw pointers. Unfortunately, there are some topics you have to understand to take full advantage of them. As in most cases, you get a new tool to solve your problems, but on the other hand this tool introduces another issues as well. Updated on 27th August 2014: Added section about pointer casting. Plus a clean up. Try to compile and run this... what happens? It crashes just after we leave doSomething procedure! We would assume than in doSomething some reference counter for our pointer is incremented, but auto_ptr has no such thing. The object is destroyed because when we leave doSomething procedure our pointer gets out of scope and it is deleted. To make it work we need to pass a reference to this auto pointer. Another thing is that we have limited way of deleting more complicated objects, there is no control over it at all, only standard delete can be used here. Fortunately with the new standard we got brand new set of smart pointers! When we change auto_ptr to std::unique_ptr<Test> in our previous example, we will get compile (not runtime) error saying that we cannot pass pointer to other function. And this is the proper behaviour. unique_ptr is correctly implemented because of move semantics basically. We can move (but not copy) ownership from pointer to another. We also need to be aware when and where we pass the ownership. to move the pointer's ownership. That way after the function returns out pointer is also not valid, but we did it on purpose after all. Another nice advantage of this type of pointer is that we can use custom deleters. It is useful when we have some complicated resources (files, textures, etc, etc). std::unique_ptr<int> p(new int);  // will not work! Note that if you want to pass address of the first element, you have tu use &(pointerToArray). Writing pointerToArray will not work. Unique pointers provides their features only via wise usage of C++ syntax (using private copy constructor, assignment, etc), they do not need any additional memory. But with shared_ptr we need to associate some reference counter with our object. How to do that efficiently? So what is the difference? Why not use syntax similar to creation of unique_ptr? The answer lies in the allocation process. With the first construct we need to allocate a space for the object and then for the reference counter. With the second construct there is only one allocation (using placement new) and ref counter shares the same memory block as the pointed object. Above you can see a picture with local's view in the VS 2012. Compare the addresses of object data and reference counter block. For the sp2 we can see that they are very close to each other. BTW: in C++14 there is a nice improvement: make_unique function ! That way creating smart pointers is a bit more 'unified'. We have make_shared and make_unique. We need to use custom deleter (here as a lambda expression). Additionally we cannot use make_shared construction. 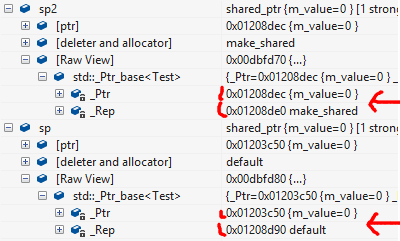 The above code will work as assumed, but in testSharedFuncRef we get no benefit of using shared pointers at all! Only testSharedFunc will increase reference counter. For some performance critical code we, additionally, need to notice that passing by value will need to copy whole pointer block, so maybe it is better to use even raw pointer there. But, perhaps the second option (with reference) is better? The answer: it depends. The main question is if you want to have full ownership of the object or you want to just 'observe' the object. If observe(for instance you have some generic function that calls methods of the object) then we do not need ownership... simple passing by reference is good and fast method. But how to get a pointer to a ChildB class from ptrBase? Although, it is not a good practice, sometimes we know it is needed. It should work. But, that way you get a 'normal' pointer only! The use_count for the original ptrBase is not incremented. You can now observe the object, but you are not the owner. by using std::dynamic_pointer_cast you get a shared pointer. Now you are also the owner. Use count for ptrBase and ptrChild is '2' in this case. Take a look at std::static_pointer_cast and std::const_pointer_cast for more information. In the previous example you got a copy of the original pointer. But unique_ptr cannot have copies... so it is no sense to provide a casting functions. If you need a casted pointer for observation then you need to do it the old way. Smart pointers are very useful, but we, as users, also need to be smart :) I am not as experienced with smart pointers as I would like to be. For instance sometimes I am tempted to use raw pointers: I know what will happen, and at a time I can guarantee that it will not mess with the memory. Unfortunately this can be a potential problem in the future. When code changes my assumptions can be not valid any more and new bugs may occur. With smart pointers it is not so easy to break things. 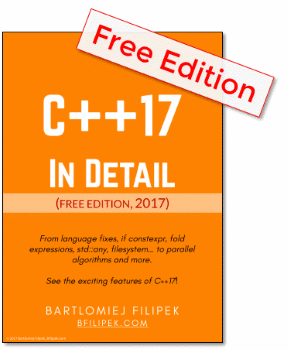 All this topic is a bit complicated, but as usually in C++, we get something at a price. We need to know what we are doing to fully utilize the particular feature. 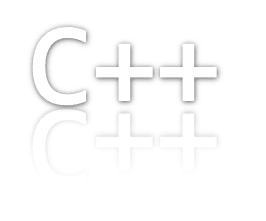 Book: The C++ Standard Library: A Tutorial... (2nd) was the main reference for this post. SO: How do I pass a unique_ptr argument to a constructor or a function? SO: Is make_shared really more efficient than new?